4-8 March 2013. 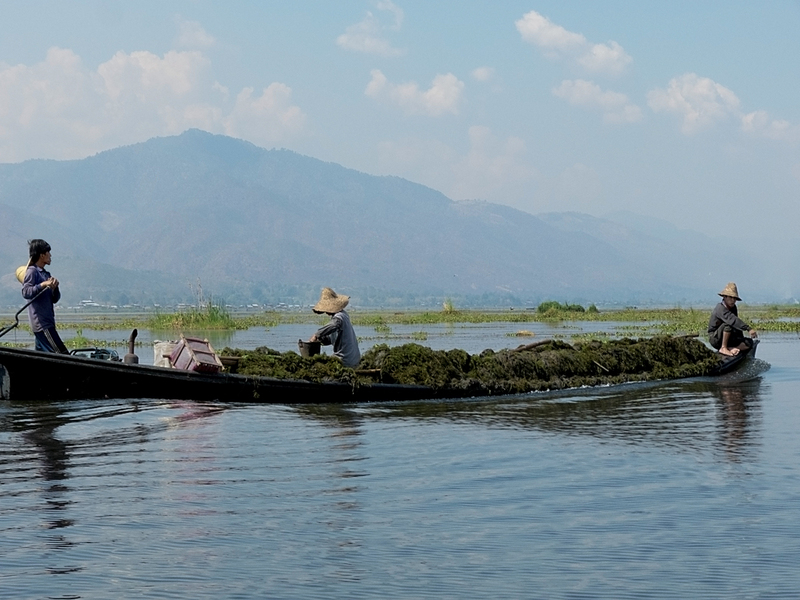 I begin this post by referring back to the previous one in which I wrote about the formation of the crop garden beds in Inle Lake. This photo shows a boat “loaded to the gunnels” with the grass-like weed that grows naturally in the lake and is used as the basis of the floating beds. In the background you can see plenty of water hyacinth that is also used as part of the mass that goes to make up the islands. Water hyacinth is an invasive, non-native plant, but at least they have found a use for it. 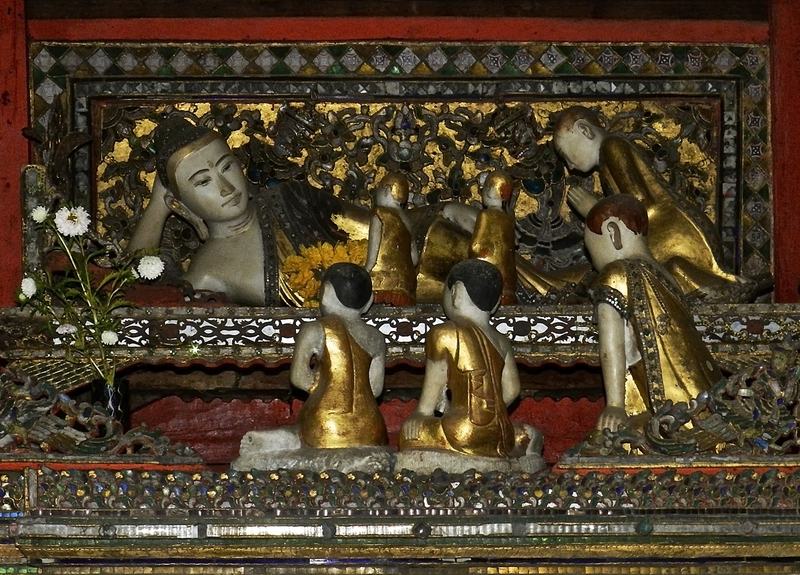 We had our heads buzzed in Nyaung Shwe. It was time. About every six weeks we find a barber and have a number two buzz cut. For the uninitiated the number refers to the attachment on the buzzer that determines the length. It all began in India in February of 2012. Don had always had short neat hair, (well once he got over the longer hair and moustache trend of the 70’s). I’d had various hairstyles over the years but mostly short and styled. We’d been living in the dusty town of Tiruvannamalai, in south India, principally known for Ramana Marharshi’s ashram and the sacred Mount Arunachala. It was hot. I hated my hair. I’d previously had it dyed and the dye had washed out leaving that horrible brassy colour. We decided to get buzz cuts. A tiny hole in the wall barbershop near the ashram. 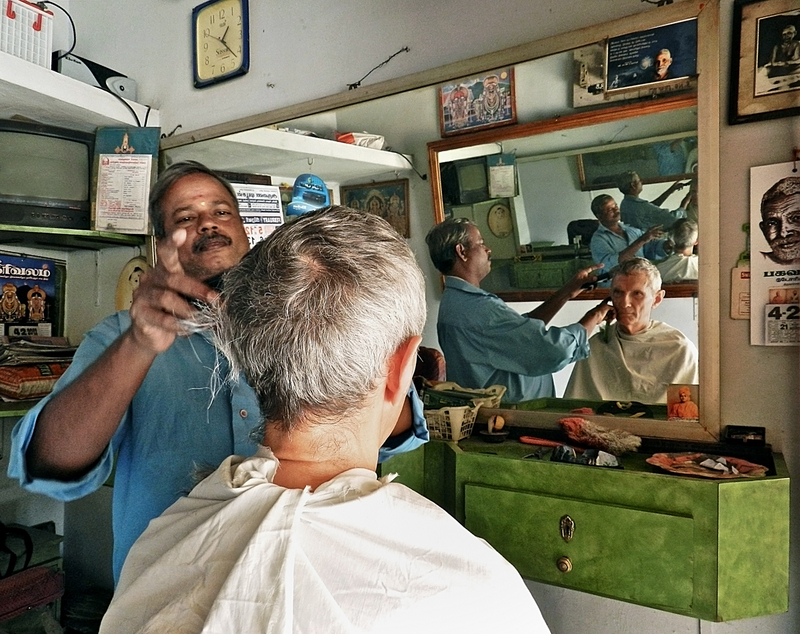 At least it wasn’t just out on the street as many barbershops are in India. The filthiest comb I have ever seen. He combed my hair then buzzed my head. Then swept my head, shoulders and face with the roughest and filthiest hand floor brush I have ever seen. Despite the eeeeeeewww factor I was delirious with joy. Freedom! For seventy-five rupees! ($1.30) Don was next, then we both raced home and furiously washed our heads and faces with dandruff shampoo hoping it would have some antiseptic qualities. The picture on our gravatar was taken by my sister Suzanne that same day. Since that first time, we’ve had our heads buzzed in many countries but nothing stands out like the first time in India. 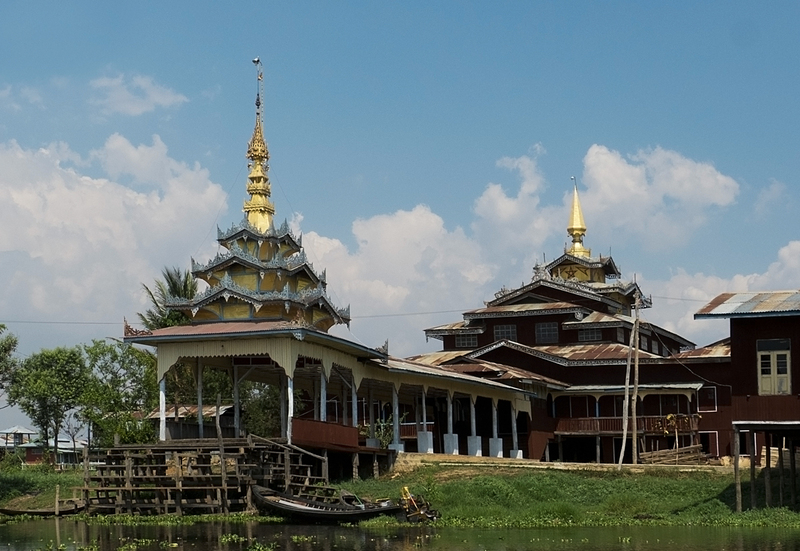 And now Nyaung Shwe, Myanmar. Another hole in the wall barbershop. Another filthy comb, only this time he didn’t have the right attachment for the buzzer but convinced us the thickness of the comb would be the same as a number two. This was certainly the most uneven cut we’ve had. And he shaved my face to make my sideburns all straight and even like a man’s! I was horrified. Then shrugged. Nothing to be done. Hair grows. We’ve been buzzed again here in Mexico in the small town of Melaque. The hairdresser called it the no-ego cut. 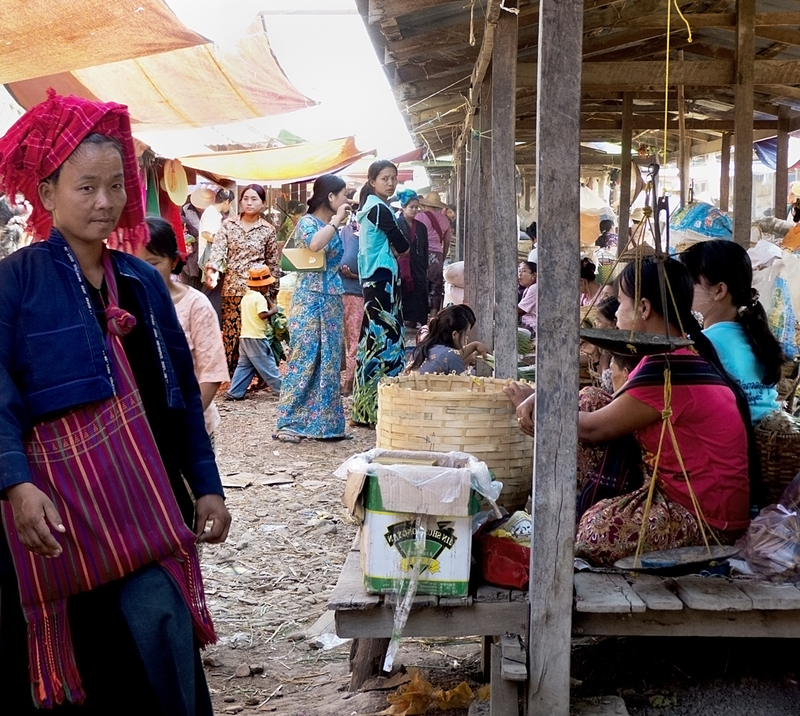 After a very early morning visit to the huge market in Nyaung Shwe we travelled a long way down the lake, and then a long way down a canal to the end, to another of the five Inle Lake rotating markets. Even though it was still early there were already dozens of boats there. These markets are huge, and big business. 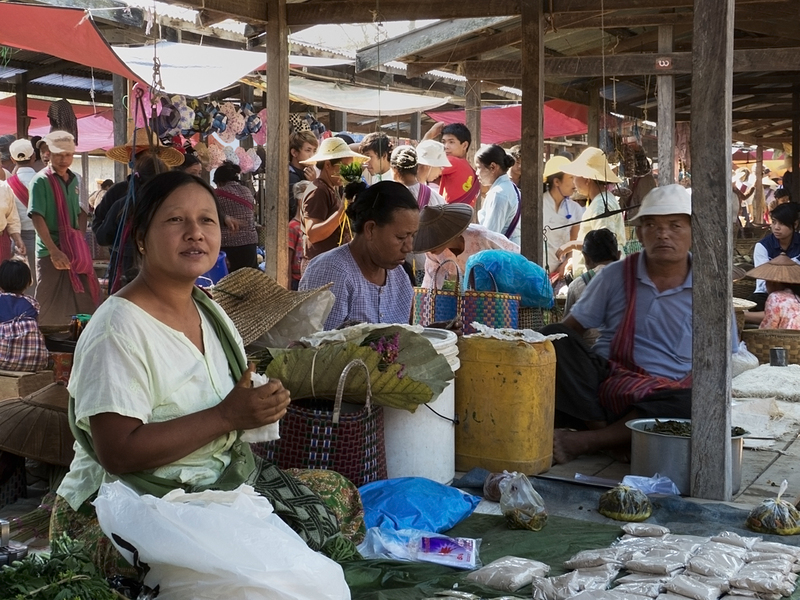 Farmers come from all around to sell their produce, middle men come to buy in bulk to transport it all over Burma, and families come to do their regular household shopping. Crowded and colourful, the sense of community is strong. Everyone has a purpose, everyone is busy. It’s business and it’s fun. For teenagers I think it’s the equivalent of going to the mall. Only better. 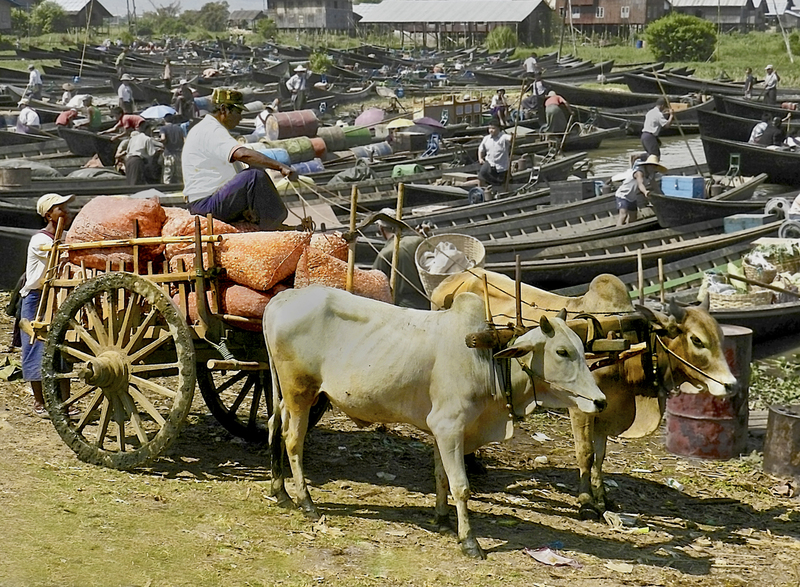 This shows a small portion of the boats parked at the market. Somehow we managed to find our boat when we were ready to leave. 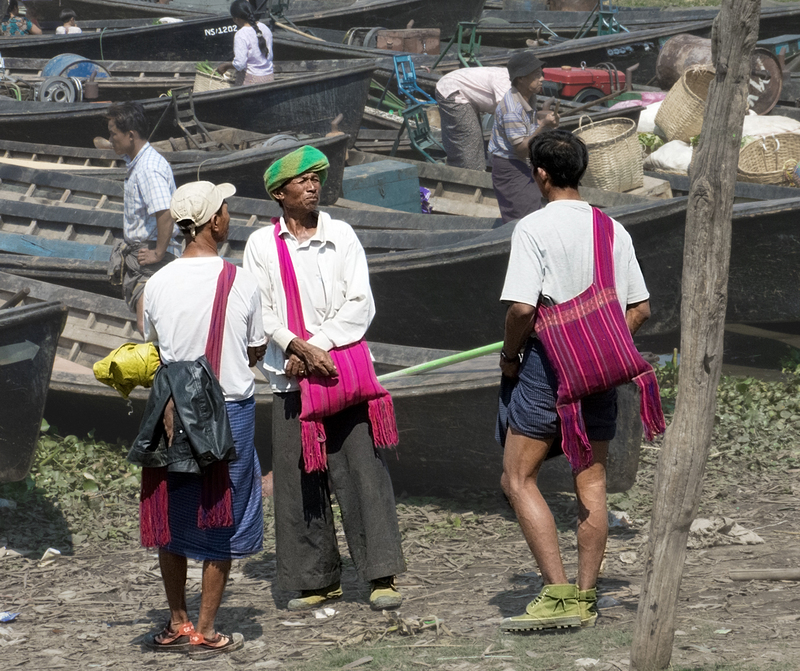 Delivering a crop to be transported to Nyaung Shwe and then to other outlets. Don’s photo. 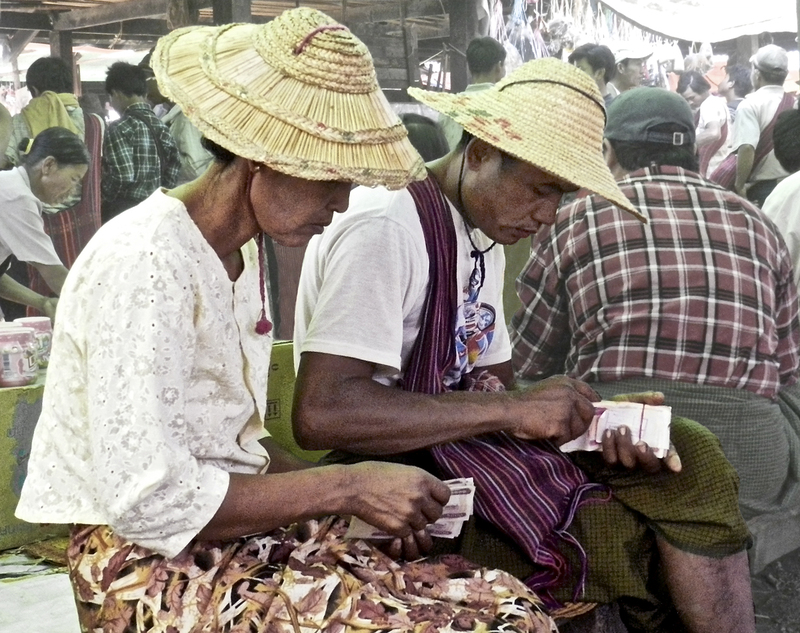 I had thought this would be my last post about Burma, but not. 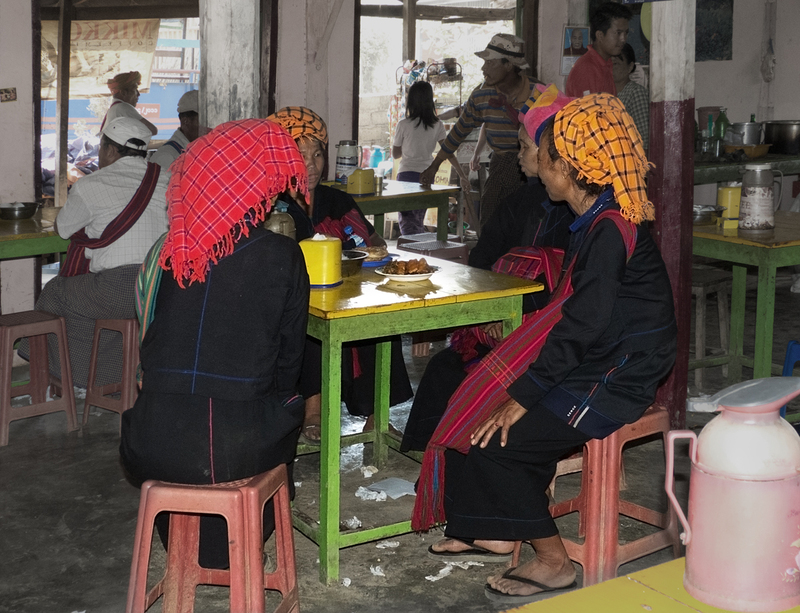 There’s so much to cover, so one more final post to come: a ten hour hike in the hills around Inle Lake including a brief visit to a Pa-O wedding, and some final thoughts about our time in this extraordinary country. Thanks Kelly. I appreciate the comment. It makes me realize I should comment on others’ blogs more often even when I don’t have more to say than wow, or love this! It’s nice getting comments like this! Thanks Lakshmi. Yes, Indian and Myanmar barbers are certainly unique. A close shave! Oh I don’t think Don would even think about going there! 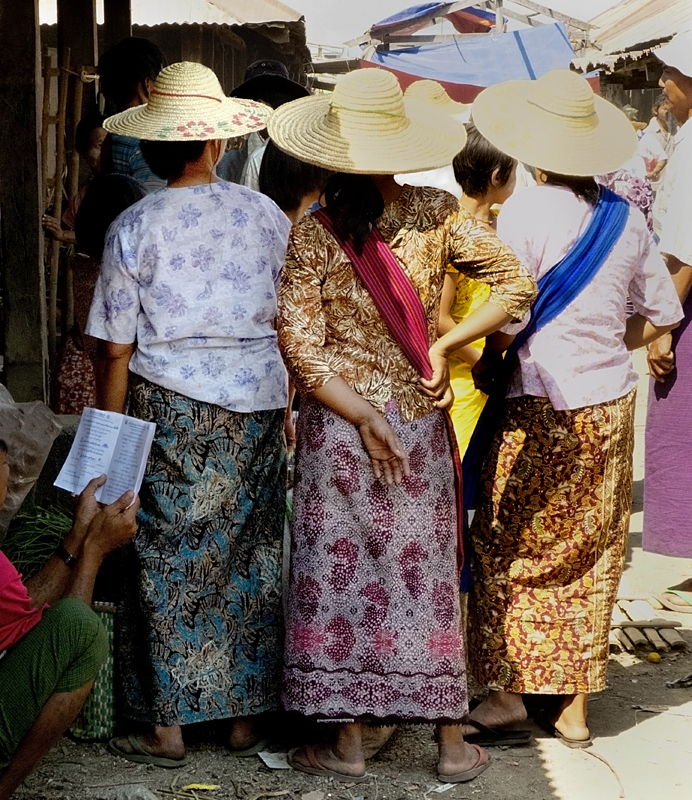 I don’t know why; can’t pinpoint it, but the photograph (taken from behind) of three women in casual stance wearing straw-type hats is compelling. So very compelling. Wonderful post as always. Thank you! Thank you Laurie. Oh it’s so interesting you would be drawn to that photo. I was too, and also don’t know why. Something about it . . . . .
It’s very difficult to choose which photos to include as I have so many and I’m torn between those that best tell the story and those I just love as photos. When I’ve chosen anywhere from 30 to 45 photos and I want to get the number down to about 25 to 27 I ask for Don to help me eliminate. His comment on that photo – well it’s very nice if you’re interested in women’s clothing, lol. I guess he couldn’t see what we see. To me it says something about community, tradition, friendship, family . . . . . I actually didn’t care either way about seeing jumping cats, I just thought it was a wonderful pass time for monks and, yeah, stoopid/officious/specious to stop it. Keep the posts coming about Burma! We had visited the jumping cat monastery in 1997 – it was delightful. Somehow I think a lot more than that has changed…. You were there in 97?! I had thought the Junta had closed the country to foreigners, but now I think it was more of a tourism boycott because of the Junta. I should research it a little more I guess. I bet it was an amazing place to visit back then. It seems now that things are changing politically tourism is gradually increasing and this past season almost everything was booked up. 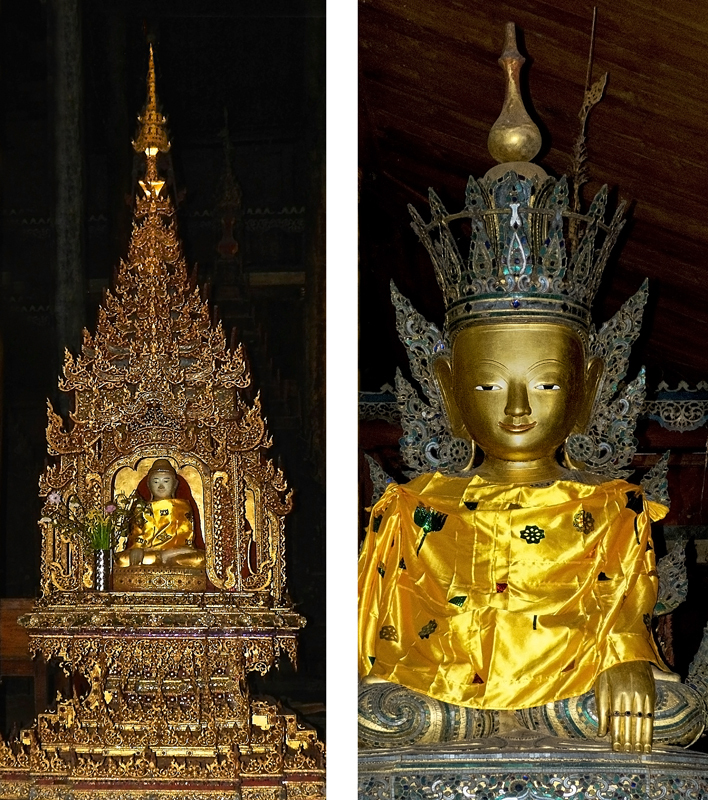 One more post on Burma, then Mexico! Love your comparision of tr aining cats to meditation and thus your reasoning to keep on training cats. There is a trined cat on America’s Got T alent this year. One of t he few shows I watch – sometimes. I never miss Doc Martin though. Also like Doc Martin – such a curmudgeon. I aslo like The Newsroom, and Downton Abbey, and The Good Wife – we watch on the net. 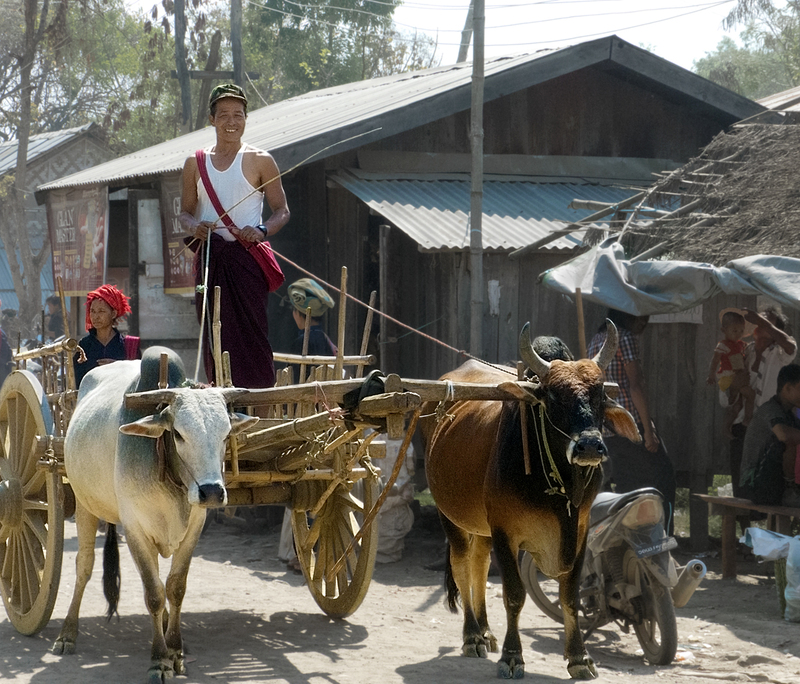 Alison, one of the stars of your blog are the beautiful captures of local people going about their daily business. It’s something you are extremely good at and I can just imagine you and Don going about it without being intrusive. What a shame about the no-longer-jumping cats, from the monastery’s name I expected something a bit more exciting! James, thank you so much! I do love photographing the people as they live their lives. I’ve certainly been intrusive occasionally but really try hard not to be, and I also love to use photography as a way to connect with people and make them laugh. It can be a lot of fun. I’d think it’s pretty hard to herd cats, or get them to jump through hoops. Kudos to the monks for trying. Hope you’re enjoying the trip to AK. LOL times ten at monks training cats to jump through hoops!! I would say it was an indignity to the cats, not the monks. And who better to train cats than monks, given that cats for the most part can’t be trained to do much of anything? The attempt, in itself, is a match for the act of meditation. There’s some videos on YT from way back when of the cats jumping through the hoops for treats. It’s all kinda cute but nothing spectacular. And yes I agree, monks are the perfect people to do it lol. I must be doing something wrong. My cat has me trained. So do the dogs, hummingbirds, roadrunner……Love your fascinating blog & photos! Just incredible ~ SO incredible! The plethora of boats in the market area is just stunning. I can’t imagine how one could find their boat again. 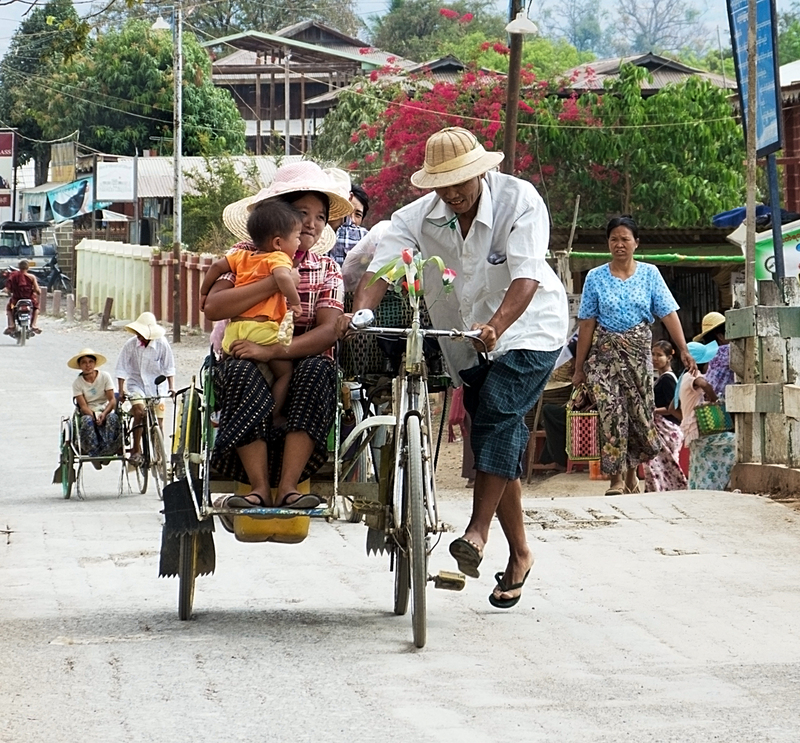 The picture of the family going home from the market is fantastic, I love the hats, the comfortable positions they’re all in, the bags of goods they just purchased in the bustling market and now they’re peacefully gliding towards their home. Just lovely. I also love the stupididiot name, come ON!! A jumping cat monastery with no jumping cats…way to ruin the magic!! Thanks Andrea. 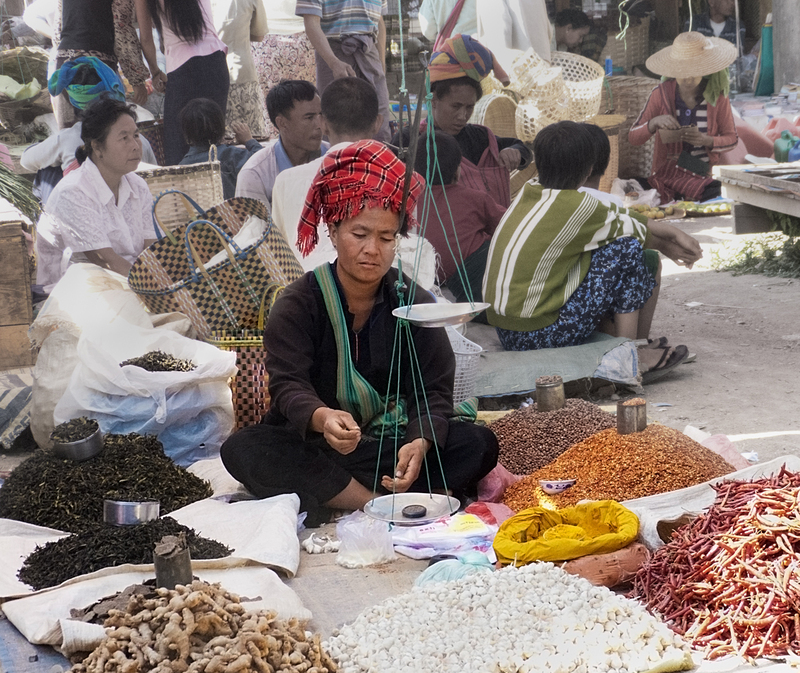 The markets at Inle are a sight to behold – exotic and exciting and so much life energy. Fun. Yeah, no jumping cats – definitely way to ruin the magic! 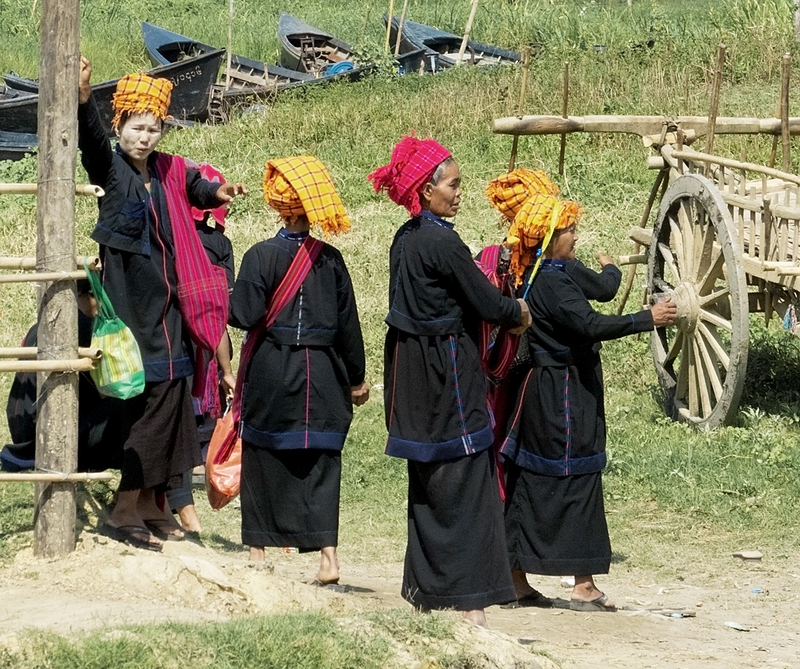 I started reading through your Burma/Myanmar posts last year but never finished. I finished them today. Wow! I can’t wait to go. You two have done a great job of telling a story through photos. Thank you for the inspiration and entertainment. Thanks so much Jeff. It was an amazing time. Don didn’t really want to go at all but in the end was glad he did. For me it was definitely one of the highlights of all our travels. Hope you get there one day soon. It really is extraordinary. I am amazed at the number of boats that were at the market. We were there in the offseason so did not see anywhere near as many. And the action shot with the monk stands out! Thanks Lisa, I’ll let Don know – the monk is one of his shots. 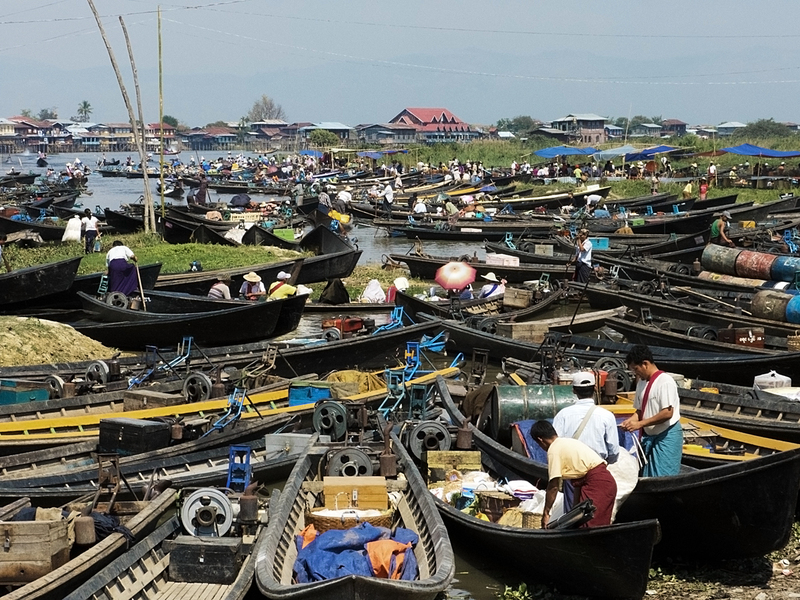 The market was huge, and the photo only shows a small portion of the boats that were there.